By Nick Ostdick. Oct 5, 2015. 9:00 AM. This year, Eloise turns 60, though to her adoring fans, she’s still not a day more than 6. And in today’s fast-paced social media filled world where youth seems as fleeting as a Snapchat, she is perhaps more relevant than ever. 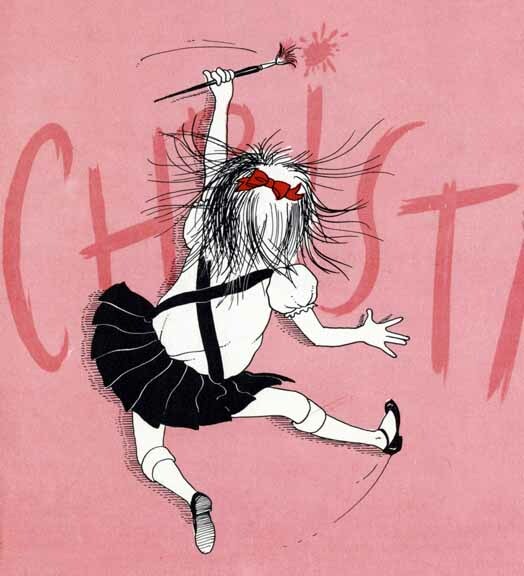 Eloise, the titular character in a wildly successful series of children books, first appeared to readers in 1955 in Eloise: A Book for Precocious Grown-Ups. The book chronicles the antics of an eccentric 6-year-old Manhattanite who lives a lavish life atop the Plaza Hotel. With two pets in tow — a pug named Weenie and a turtle called Skiperdee — Eloise spends her days living out the innermost parts of her wild imagination to the constant consternation of her nanny. 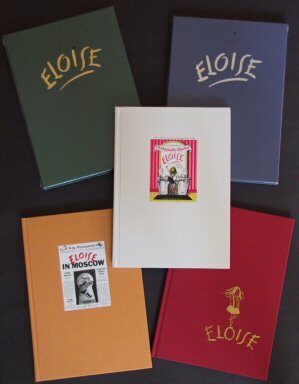 To call Eloise a smash-hit with children and adults alike would be an understatement, and subsequently three more Eloise books followed the original: Eloise in Paris (1957), Eloise at Christmastime (1958), and Eloise in Moscow (1959), not to mention a series of posthumous releases beginning in 2002. Eloise’s mischievous, too-big-for-her-own-britches personalty was originally conceived by author Kay Thompson in the late 1940s while Thompson was working as a cabaret dancer in New York City. Much like the character she created, Thompson was known by friends and those within her literary circle as an eccentric, charismatic figure, prone to bouts of outlandish behavior, which included speaking in the voice of a 6-year-old child, which many believe is how Eloise was actually created; however, an NPR story published in 2010 links the creation of Eloise to an imaginary friend Thompson had as a child and still communicated with as an adult. Given Eloise's exploits throughout the series of books — fanciful, imaginary escapes to far-off lands and defiant, rebellious behavior against those who opposed her wild ways — it’s easy to see how a writer like Thompson was able to pull a character like Eloise from inside herself. Yet even if Eloise was something of a idiosyncratic creation, what accounts for her ability to touch children and adults readers sixty years after she first entered the literary landscape? While Eloise’s lasting appeal to children might seem obvious — an essentially parentless girl with a dreamy, wandering mind who lives more or less atop a castle overlooking a massive kingdom all her own — the link between Eloise and adults may be a little more opaque. Upon further investigation, perhaps the connection between Eloise and children and Eloise and adults is not entirely dissimilar. Perhaps the notion of living freely without constraint or reprimand, without the fear of rejection or cynicism from those around us is fundamental enough to resonate with young and old. Whether she was aware of it, Thompson created a character so infused with agency and defiance that Eloise feels as real and alive today as she did in 1955, so much so that a reissue of the first Eloise story is forthcoming later this year in audiobook format to mark the 60th anniversary. If the test of a truly great book is its ability to span generations while forging emotional pathways with readers of all ages, it’s safe to say Eloise will be that strange 6-year-old girl creating her own little world above the city for many years to come. *For more from NPR, click here. **For more from Vanity Fair, click here. ***For more from Salon, click here.